THE BROWNING have announced dates for a European headlining tour in support of their upcoming new album, HYPERNOVA. The "Across the Nations" tour kicks off on November 22nd in Chemnitz, Germany, and also includes shows in Belgium, the UK, the Netherlands, Switzerland, Italy, Austria and Hungary. 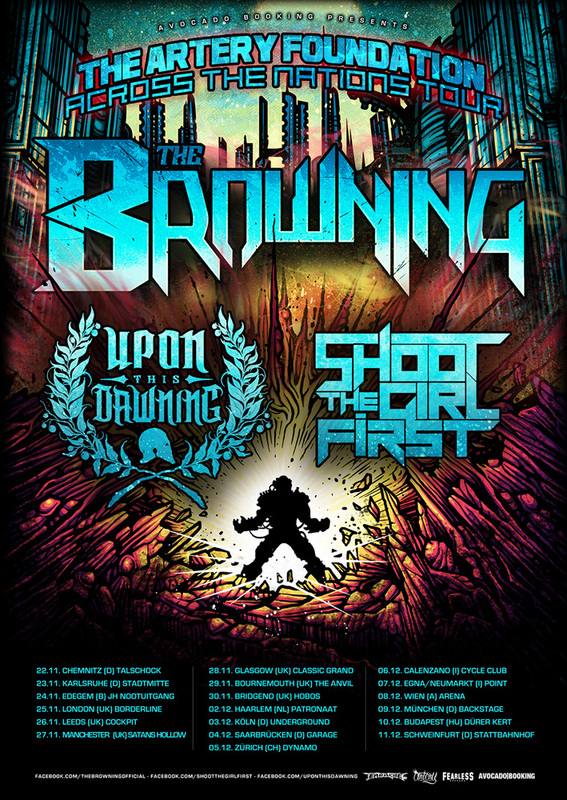 Supporting THE BROWNING will be UPON THIS DAWNING and SHOOT THE GIRL FIRST. "The Browning feels at home in Europe and we can't wait to go back for our headliner! We always have really crazy shows there and this time won't be any different! Everyone pick up our new album HYPERNOVA so you can learn it before we come!"